"Join the Community Relations subcommittee as we bring our coffee conversations into the community. 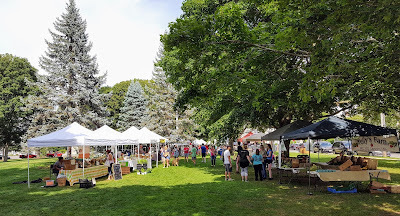 We are unable to offer good or beverages, so please bring your own (or obtain them at one or more of the farmer market booths)." Subcommittee members are Denise Schultz, Anne Bergen, and Vanessa Bilello.